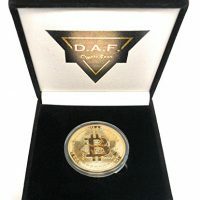 Limited edition Bitcoin commemorative gold-plated coin & bitcoin gift box – by D.A.F. 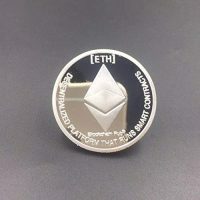 CryptoGear. 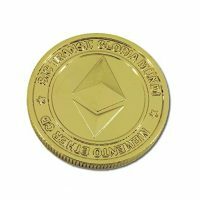 This is the perfect gift for any cryptocurrency enthusiast. 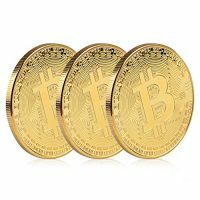 The gold stamp Bitcoin Logo on the outside of the box and the flawless shine of the physical bitcoin make this the ULTIMATE crypto-gift. 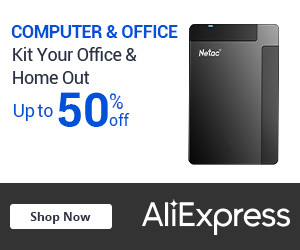 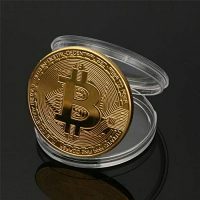 Product Features The gold stamped bitcoin box contains 1 gold-plated coin 1 acrylic protective case Makes great office desk display for anyone, anywhere, anytime! 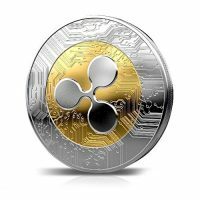 Perfect conversation starter! 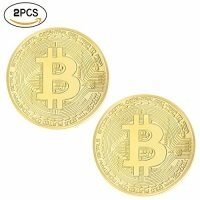 Great way to introduce the cryptocurrency world to your friends and family! 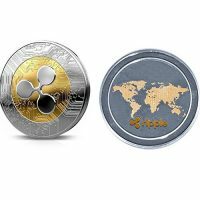 This is a beautiful silver-plated RIPPLE cryptocurrency coin. 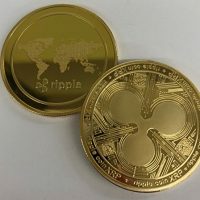 Inspired by the rise in value of cryptocurrency, this is a unique RIPPLE coin that you can carry with you! 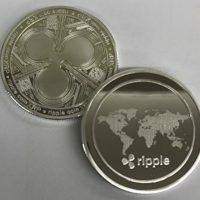 Product Features Presented in a plastic collector case, along with a Certificate of Authenticity, stating that it is, in-fact an Aizics Mint original cryptocurrency product.